FONTERRA says it would provide an update on a review of its business structures later this month. Chief executive Theo Spierings said the review was to ensure that Fonterra was "best placed to respond to a rapidly changing global environment". The initial phases of the review had looked at the entire business in detail and had identified potential areas, including significant initiatives in procurement, business operations and working capital for the co-operative dairy giant. 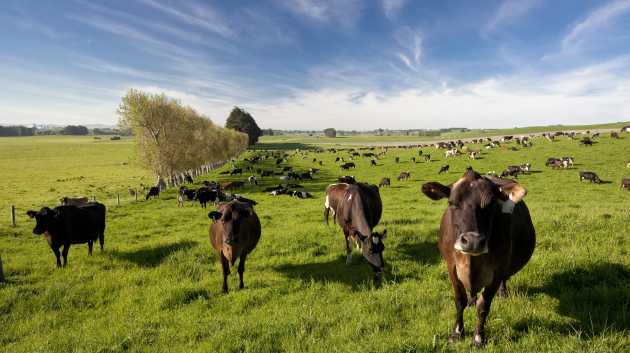 "The co-operative's leadership is now building these opportunities into defined plans that will drive further improvement across the business, allow Fonterra to fund its growth strategy and deliver stronger results," Spierings said in a statement. "We have the right strategy and the long term future of dairy is sound, however the world is changing and global dairy markets are increasingly volatile. "To keep ahead of the game, we need to be more agile, reduce costs and generate value," he said. As part of the review, Fonterra has begun consulting staff on proposals to streamline its business structures. The consultation is being conducted globally starting with the co-operative's procurement, finance, information services, human resources, strategy and legal functions. Other parts of the business will follow in the coming months. Fonterra said on Wednesday that it had begun consulting staff on proposals to streamline its business structures. Last month, Spierings, said the review would would lead to hundreds of its 1,500 head office and support function staff being laid off because it wanted to redirect more staff into sales and in market roles to help drive up returns. Fonterra currently employs 11,500 staff in New Zealand and 18,000 worldwide.